The Amazing Spider-Man 2 was a disappointment for me mainly because I think the first movie set the right tone but the sequel instead squandered many opportunities particularly in the villain department who had little development to go along with a thin plot that for the most consisted of hating Spider-Man more than anything, especially for Foxx’s Electro. Still, Dane DeHaan as Harry Osborn was a treat, the visual effects are good and the direction, specifically getting Spider-Man’s viewpoint as he swung from building to building, was impressive. 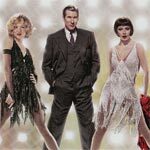 I don’t mind admitting Chicago is an amazing musical that holds up just as well today as it did 10 years ago and still deserving of its 6 Academy Awards including Best Picture. The performances, both in acting and singing, from Renee Zellweger, Catherine Zeta-Jones and Richard Gere are astounding not to mention Queen Latifah and John C. Reilly also turn in wonderful performances. City of Angels has some cheesy moments and Nic Cage early on doesn’t quite exude leading man who can act creepy yet still nab pretty (and smart) surgeon, but once you get beyond that, the story mostly works and somehow Cage and Ryan share good on-screen chemistry. 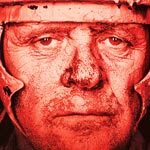 Titus is most certainly an ambitious film and while I didn’t particularly enjoy it and doubtful I’ll ever revisit it, it’s not a complete waste of time, well worth seeing for Anthony Hopkins and Jessica Lange. The Blu-ray released by Twilight Time has its own issues. 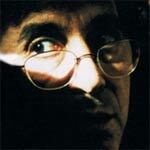 Although the bonus material is extensive, the audio and video are utilizing older transfers. Despite its 7 Academy Award nominations, The Insider is a woefully under-appreciated drama filled with excellent performances and a compelling story. Al Pacino, Russell Crowe and Christopher Plummer are all incredible and Mann’s direction, alongside Dante Spinotti’s lense, makes for a near masterpiece. The Blu-ray offered here fails miserably in the features department but the audio/video transfers are both top notch, the latter especially.